The amazing librarian Andy Plemmons started a hashtag #whylib as a way to hear stories about why people became a librarian. I am loving reading all the different stories, and thought I would share mine. I guess I should have known all along that one day I would be a librarian. Both of my parents were English teachers and our house was always filled with books. My bedroom as a kindergartener was the local neighborhood library. I made check out cards and due date slips that I put in each book in my "library". My home life was not as pretty on the inside as it looked on the outside and I used books as my safe place. My mother worked at the high school across the street from my elementary school. In those days the high school started an hour earlier than the elementary school. I spent my mornings in the high school library everyday over the span of my entire school career. My career goal in high school was to become an attorney with an eye on a Supreme Court seat (LOL! I have always had lofty dreams.) Reality, however, found me single, pregnant with twins and on welfare with just a high school diploma. Entering the teaching field allowed me to have a common calendar with my children, a blessing for a single mom. I loved everything about teaching but hated all the administrative BS that gets in the way of actual teaching. Frustration was settling in. A friend encouraged me to go after my Master's Degree. Library Media seemed like a place where I could teach, be creative, self directed, and help everyone in the school rather than just the kids in my classroom. I have loved everyday in the library. The worst day in the library still beats my best day as a classroom teacher. What I love more than anything about the library are the amazingly creative librarians around the nation that are willing to step out of the stacks and share their genius with the rest of us. I love that my insatiable desire for learning and my love of technology neatly folds into the job of librarian. I love that I can be helpful and giving everyday to those in need. I love the library because it encompasses my passions and joy as an educator. 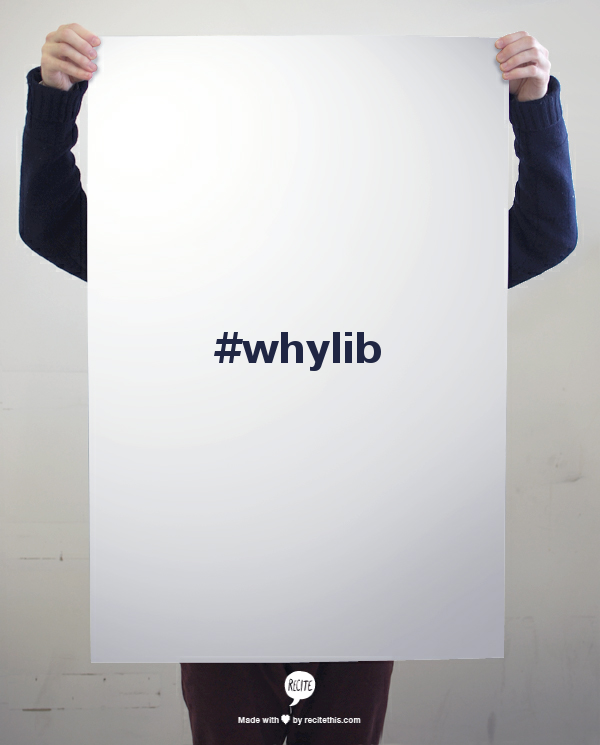 Tell your story and let us know using the hashtag #whylib. Thanks Andy Plemmons for getting this great hashtag started for School Libraries Month 2014.